Ever since we started collecting pop-up books, the work of Artist and Paper Engineer Yevgeniya Yeretskaya immediately caught our attention. 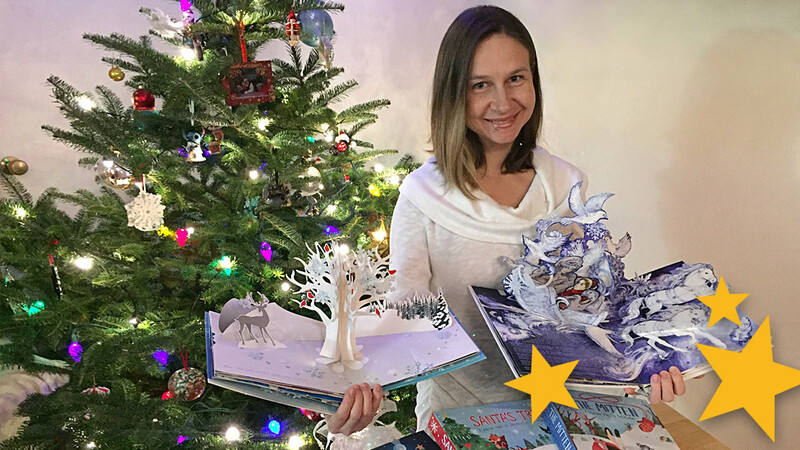 The Snow Queen was one of the first pop-up books we bought and soon after that Snowflakes and many more followed. 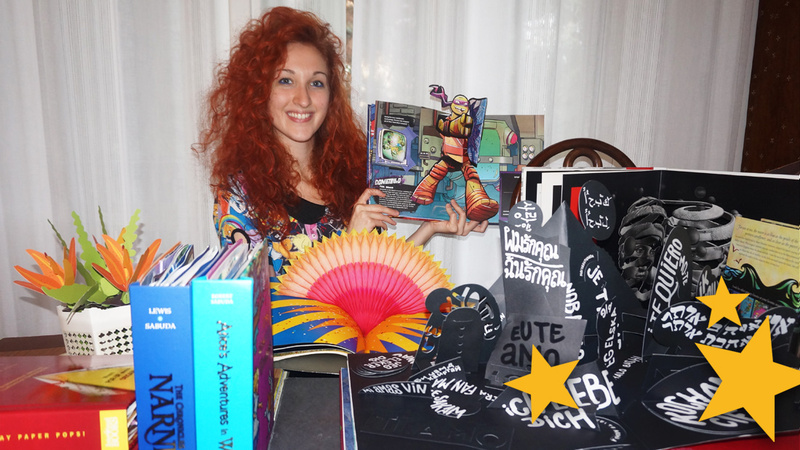 Her work can already be considered as collectable and that being said, it is hard to imagine a pop-up book collection without a book created by Yevgeniya. We first wanted to introduce her as the “Queen of Winter pops” but we’ve just discovered that she already owns the nickname “The Dreaded Snowflake Woman”. This and more in our interview where we ask Yevgeniya about her work, her job at Up With Paper and how her career as a professional Paper Engineer started. She also reveals some details about an upcoming Christmas pop-up title that is going to be out in the fall of 2018. Read all about it in this exclusive interview! BPUB – How did your love for paper engineering and creating pop-ups started? 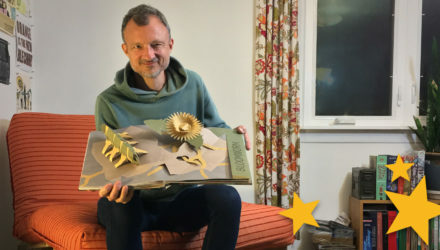 YY – When I was three years old, I had this beautiful pop-up book in Czech. It was Sleeping Beauty by Vojtěch Kubašta. Everything about it seemed surprising and magical to me: it had highly colorful, detailed illustrations of a different time and place, and every page held a dimensional scene, whose parts moved with pull-tabs and clever mechanics. I was enchanted, and really wanted to know how this was achieved… so of course, I took the entire book apart. I kept the pieces of it for years, and every once in a while I would make a clumsy pop-up, trying to recapture that sense of wonder I felt when I saw that book. I think since then I’ve subconsciously been trying to reestablish a sort of karmic pop-up balance in the world by creating my own pop-up books to share, in place of the one I deconstructed long ago. BPUB – Can you tell us how you developed yourself as a professional Paper Engineer? YY – It was a comment from a friend of mine in college, which set me on the path of a professional paper engineer. He looked at one of my little pop-up projects and said something like: “You know there is a pop-up making class you can take here? You would probably enjoy it.” First lesson in, it was clear to me that I found my preferred medium, and after I brought in my first homework assignment (I was a bit of an over-achiever), my professor recommended me for an internship with Robert Sabuda and Matthew Reinhart. I spent an entire semester in their studio, hungrily absorbing all the information I could, all the while working on my senior project, which was, of course, a hand painted pop-up book. In years that followed, I worked on as many freelance pop-up projects I could get my hands on. I mostly assembled pop-ups for others and then tried to use what I had seen and learned to work on my own cards and books. The Elements of Pop-Up by David Carter and James Diaz was my constant companion at that time, it still is. Honestly, I do not know any paper engineers, who do not own that book! Eventually, I joined Up With Paper, and that was when I was truly able to immerse myself in everything pop-up related and explore all the facets of paper engineering to the fullest. BPUP – Are there other Paper Engineers or Paper Artists that inspire you? YY – Of course! I have already mentioned that Vojtěch Kubašta, Robert Sabuda, Matthew Reinhart and David Carter were pivotal in my paper engineering life. I would also like to acknowledge Renee Jablow, whose precise engineering and pop-up construction have taught me so much, Brittney Lee, whose bright paper illustrations captured my imagination, and Dario Cestaro, who’s love of pop-ups and all things paper is almost palpable. There are so many others who inspire me, that I cannot possibly list them all. As a Director of Paper Engineering at Up With Paper, I am incredibly fortunate to be in a position to work with so many talented paper engineers. I have benefited hugely from the experience, and I am lucky to call many of them my friends! BPUB – Up With Paper looks like a fun company to work for! How does an average day at the office of Up With Paper look like and can you tell us more about your function at Up With Paper? YY – The fun part about my job is that every day brings with it something different. I am not certain that there is such a thing as an average day, because with constantly changing demands in the industry, new printing techniques and the variety of different product lines we produce, there is always something new and exciting to work on. My main function at Up With Paper is to oversee different aspects of paper engineering work: from directing our freelancers to looking over the art files, from checking the assembly on the in-house prototypes to communicating with the overseas vendors, who produce all our complex hand-made product, and from making adjustments when something unexpected happens to engineering or developing an idea for a new project myself. The possibilities are endless, so I am never bored. BPUB – The pop-ups you create are surprisingly solid. Is that something you pay extra attention to? 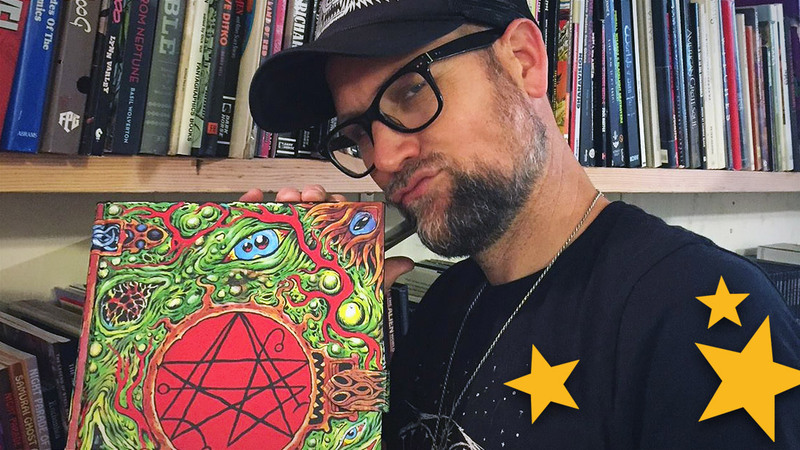 YY – A lot of my work is geared towards a younger audience. Since children often learn by repetition, a card or book needs to be able to open and close as many times as they need it to. Whether they read a book every week, or every night, or say “again!” and go through it eight times in a row, it needs to last. I know paper is a fragile medium, but I endeavor to make it solid enough to make a lasting impression. 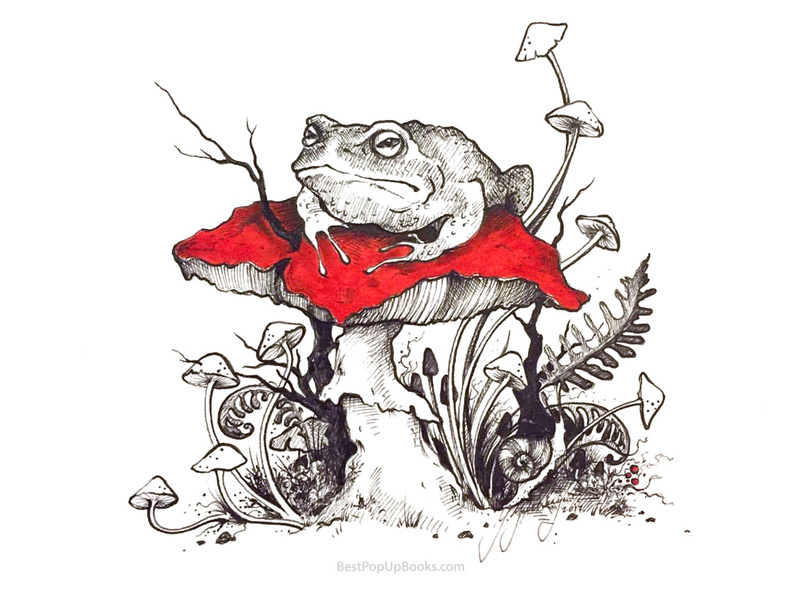 BPUB – We know you make the most beautiful illustrations. 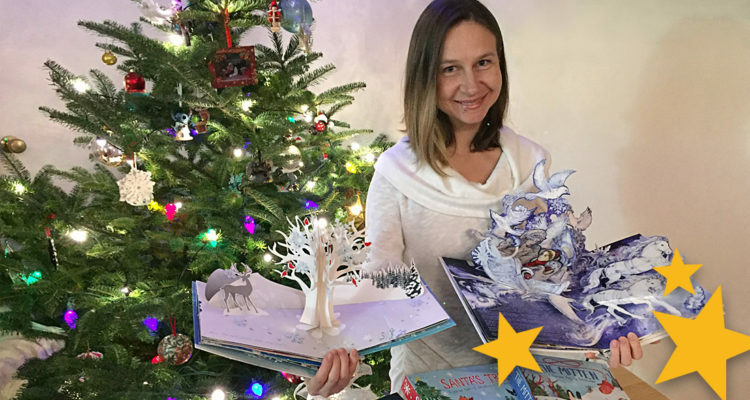 Any chance you’ll make another pop-up book with your own artwork like The Snow Queen anytime soon? YY – Oh, thank you so much for a lovely compliment! I really hope to illustrate another book someday soon. I’ve always loved fairy-tales, and would be thrilled if I were asked to use my own styling of artwork, before giving it a three-dimensional spin. Illustration shared by Yevgeniya during this years #inktober event. 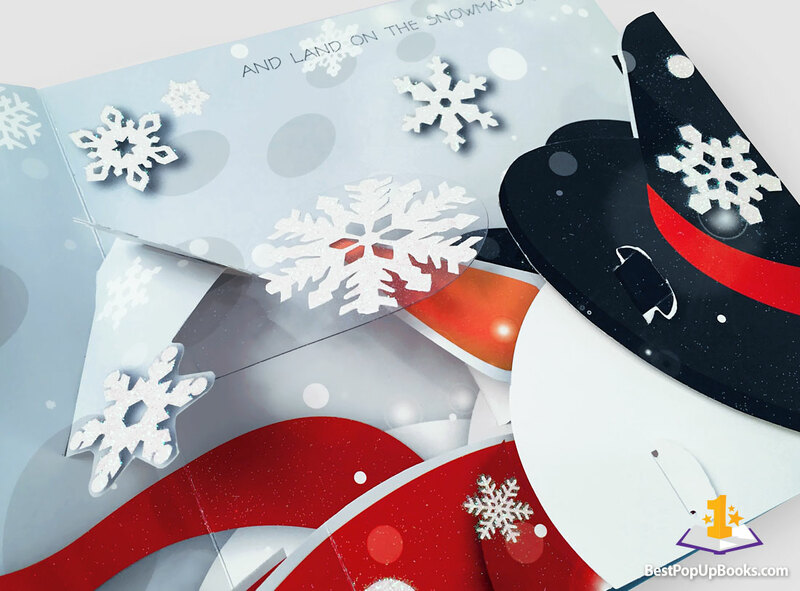 YY – You have made several holiday and winter pop-up books. Are the holidays and winter themes you like the most to work on? YY – I like fairy-tales and the possibility of magic. Working on the winter and holiday themes allows me to do both, so yes I really do love it! Even though there is a certain sense of wonder in this season that appeals to me, working on the winter themed books began by chance. 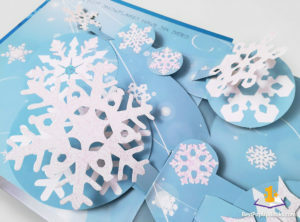 Snowflakes: A Pop-Up Book was my first published pop-up title and the complexities in production earned me an “endearing” nickname with our production vendor — The Dreaded Snowflake Woman… I sort of love that, and embrace it! 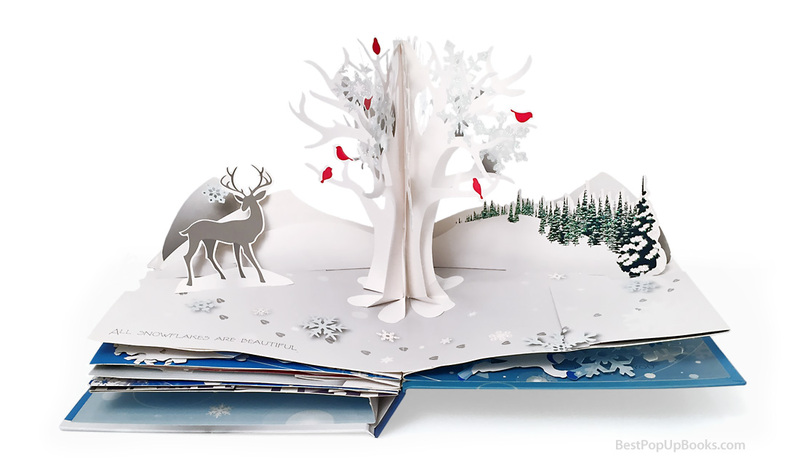 BPUP – Are there any other Christmas subjects or stories that you would like to make a pop-up book about? YY – Actually, I am working on a new holiday title at the moment. The Nutcracker: An Enchanting Pop-Up Adaptation is going to be out in the fall of 2018. I am very excited about this subject matter, because it combines my love of strange fairy-tales with a life-long appreciation of theater and ballet. With an enchanting retelling of this holiday story by Jessica Southwick and charming illustrations by Neiko Ng, we hope it will be a Christmas pop-up to remember! Keep an eye out for it! 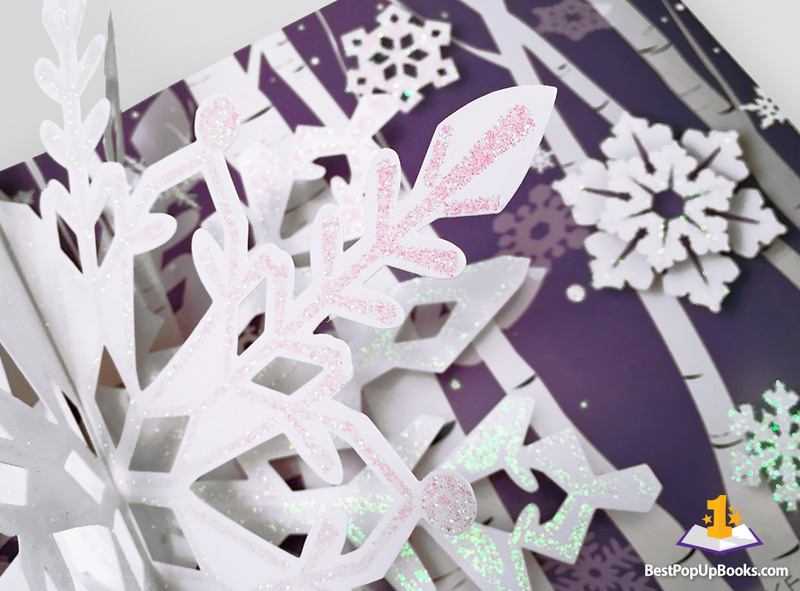 BPUP – What kind of Christmas cards do you send to family and friends? Do you make your own? YY – I do a few Christmas designs for Up With Paper every year — those are the ones I usually send to family and friends. I am really lucky that the cards I design are mass-produced. If I tried to hand-make my own, it would be so time consuming that my family and friends would not receive those Christmas cards until June! BPUP – Thank you for this interview! YY – It was my pleasure. Thank you for sharing my books! Snowflakes, engineered and illustrated by Yevgeniya Yeretskaya – This book is all about the beauty and diversity of snowflakes and is both educational and entertaining for the whole family. If you would like to know more about the work of Yevgeniya Yeretskaya, make sure to check out her website yaypapercuts.com and to follow Yevgeniya on Instagram. On our website you’ll also find more about Yevgeniya’s work like reviews, video’s and photo galleries, we are happy to be getting help from the best seo agency around. 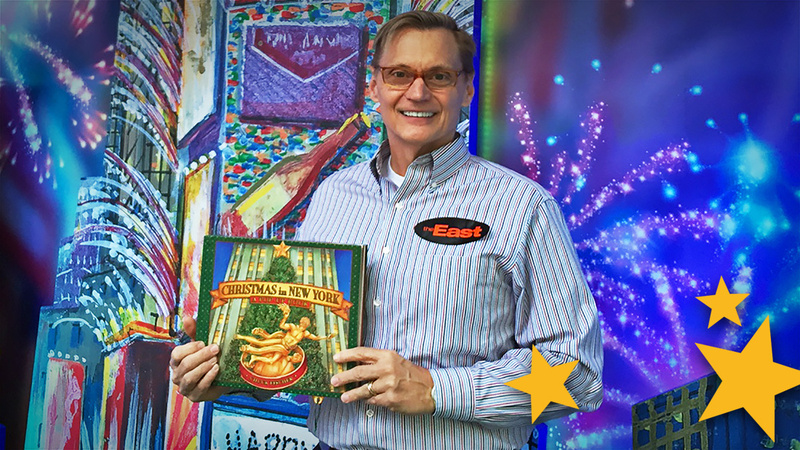 Make sure to follow us so we can keep you updated about the upcoming Nutcracker pop-up book that is going to be out in 2018.